Heat oven to 375°F (or 350°F for dark or nonstick cookie sheet). In medium bowl, stir cookie mix, softened butter and egg until soft dough forms. Drop dough by rounded tablespoonfuls 2 inches apart on ungreased cookie sheet. 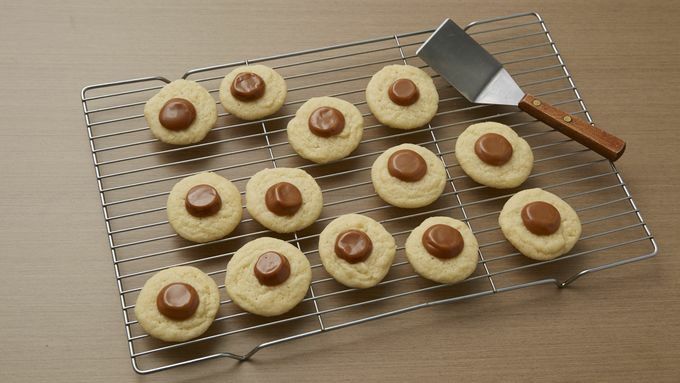 Using thumb or handle of wooden spoon, make indentation in center of each cookie. Bake 8 to 10 minutes or until edges are light golden brown. Remove from oven. 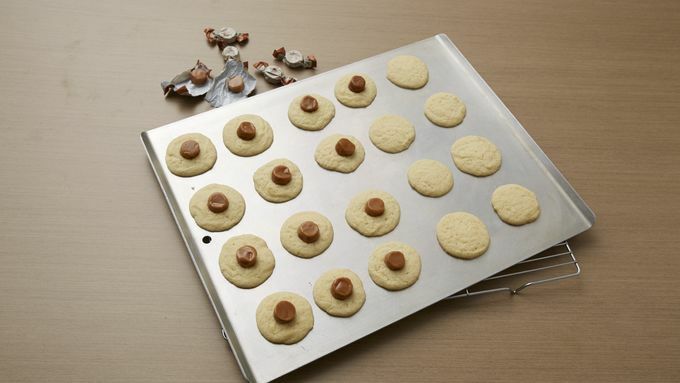 Unwrap caramels and place on center of each cookie. 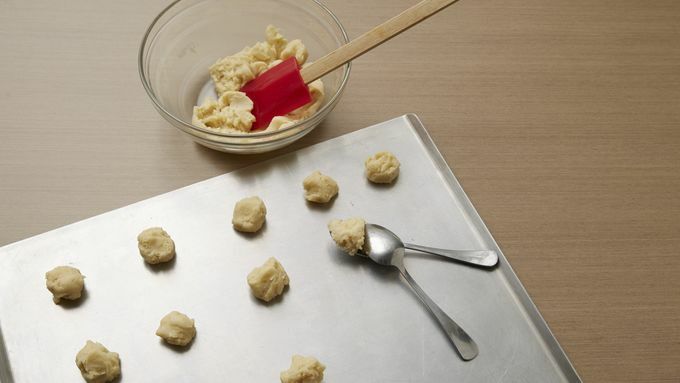 Bake an additional 1 to 2 minutes, or until candy is melted slightly. Cool 1 minute before removing from cookie sheet to wire rack. Cool completely; store in airtight container. 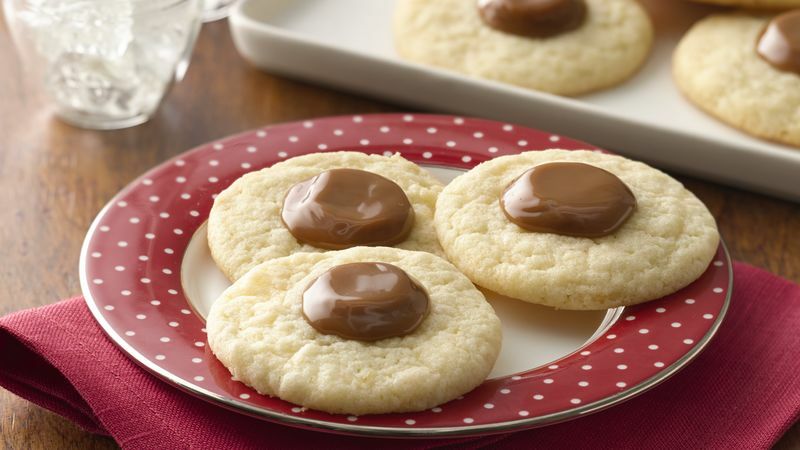 Thumbprint cookies are often called "thimble cookies" in older cookbooks because a thimble was used to make the indentation.